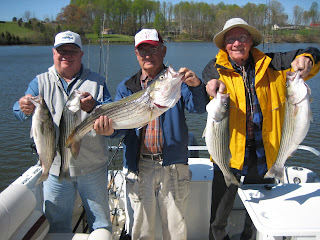 April 20, 2007: Sunny and Cool, Water Temp 54* and Clear. boards I decided to put some lines on the bottom. We started get hits but the action was slow. 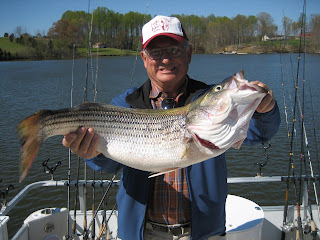 We worked hard all day for 15 hits and boated 5 Stripers, George catching a nice 16.5 pound Striper.